As a Supply Chain leader, Chris is responsible for AbbVie’s in-house pharmacy, the Patient Assistance Program, demand/supply, third party manufacturing and commercial interface/strategic execution for AbbVie’s specialty pharmacy, immunology and neurology brands. Chris is based in and leads his team from AbbVie’s Chicago Headquarters. Prior to this role, Chris was Director, Humira Franchise, supporting supply chain, purchasing, third party manufacturing and programs for the largest pharmaceutical product globally. This role was based in Puerto Rico, supporting a global team of 8 manufacturing sites, key global TPM’s and supply for global commercial operations. In 2013, Abbott and AbbVie separated into 2 companies, with Chris moving to AbbVie as the Biologics products were tied to AbbVie. Before taking on the Humira role, Chris was Director, ROW distribution for Abbott Laboratories in Breda, Netherlands. In this role he led a Dutch team with responsibility for distribution to over 100 countries for all pharmaceutical and nutritional products. For the 1st 12 years of his career at Abbott Laboratories (Chicago) Chris held various positions within manufacturing and clinical management in production of solid dosage products. 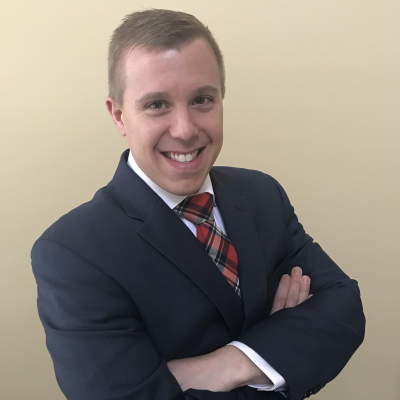 Chris holds a BS in Environmental Health from Bowling Green, an MS in Industrial Health from the University of Michigan and an MBA from Lake Forest GSM. Matt has over 15 years of experience in the medical device, pharmaceutical and life sciences industry; working both for manufacturers, wholesalers and for a large consulting firm. He has held various roles in the areas of product development, lean six sigma, business system implementation, and operational leadership. 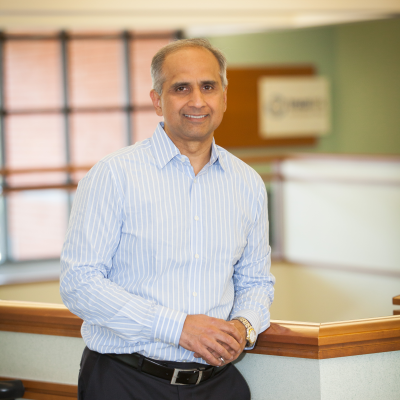 His most recent responsibilities have included leading a global medical device serialization effort, device UDI implementation and, until joining AmerisourceBergen, he was the serialization overall program lead at a mid-size pharmaceutical company. He leads AmerisourceBergen’s Manufacturer Operations team, and is the business lead for the serialization efforts at AmerisourceBergen. 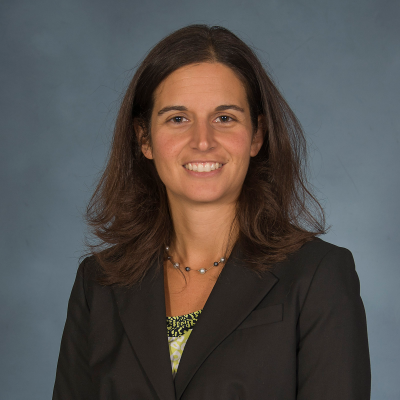 Tiffany Cavallaro is Director of US Supply Chain at Amgen. In this role she oversees demand planning, supply planning, new product launches and life cycle management activities for finished goods distributed in the US market. Tiffany has over 15 years of experience working in the pharmaceutical industry spanning various dimensions of the supply chain including vaccine manufacturing, clinical supply planning, Clinical ERP design and implementation, Clinical CMO manufacturing and commercial global product planning. Mark began his career as a commissioned Officer in the United States Navy, serving 7 years as a Surface Warfare Officer in three separate commands. Upon his exit from the active duty Mark held positions in high-tech manufacturing and supply chain consulting before joining AstraZeneca in 2000. He has worked in project management, US distribution and logistics, regional supply as a Supply Point Director, Formulation Process Execution Team (PET) lead, and finally in the global supply chain organization as a Global Supply Planner and currently as the Regional Supply Director for North America. Mark holds a Bachelor of Science degree in Commerce and Engineering from Drexel University and a Master of Business Administration also from Drexel University. On a more personal side Mark is married and has 3 daughters aged 17, 12, and 10. 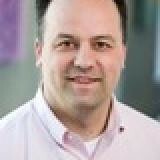 He lives in Chadds Ford, PA.
Mike Jester is Head of Supply Chain Capability at AstraZeneca. 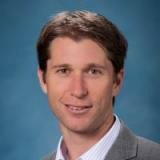 He leads teams responsible for Network Strategy, Supply Chain Analytics and Supply Chain Data Management. Mike has been with AstraZeneca for 9 years in supply planning, operations strategy and new product launch roles primarily in the biologics division of AZ. Prior to working at AstraZeneca, he worked 9 years primarily in management consulting with PricewaterhouseCoopers and Booz Allen Hamilton leading network optimization projects and advanced planning system implementations. 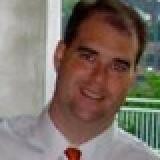 Mike has an MBA and a BS in Information Technology, both from the College of William and Mary. Dave Palew is the Director of Supply Chain for Aurobindo USA and oversees the demand and supply planning of one of the fastest growing Generic Pharmaceutical companies in the U.S. Dave has over 18 years in Generic Pharmaceuticals Supply Chains. 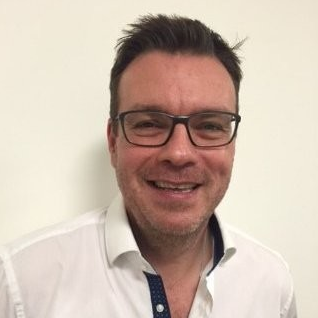 In his most recent role Dave has led the successful implementation of Vanguard Forecasting Software, team lead in implementation of Oracle DRP planning module as well as in the process of completing the launch of Value Centric data analytics software. In addition Dave is the business lead for the U.S serialization project. Dave started his Pharmaceutical career at Block Drug and has held Supply Chain positons with Faulding, Alpharma, Pliva, Barr, Teva, G & W Labs, Tris and Aurobindo. 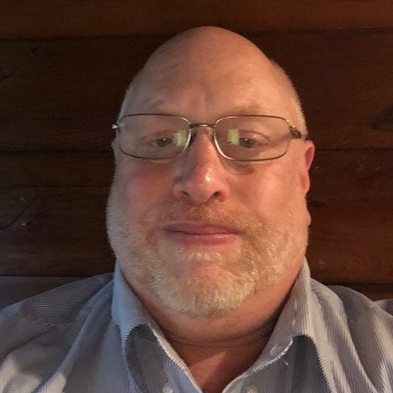 Dave has his BS degree in Materials Management from Bloomfield College, Graduate Certificate in Pharmaceutical Manufacturing from Stevens and received his CPIM certification from APICS. 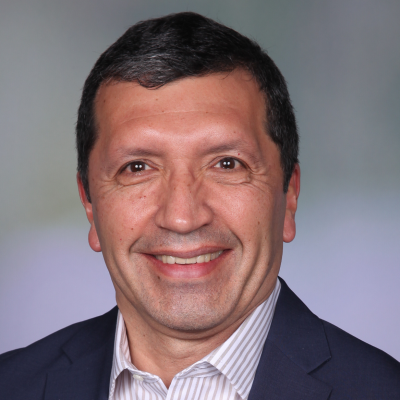 Julio J. Feliciano is currently the VP of Regional Supply Chain Management at Bayer Pharmaceuticals, based in Whippany, NJ and with responsibilities across all Americas. He received his B. S from Lisbon (Portugal) University and started his career in Merck/MSD in Quality Control, becoming the head of Quality Operations in 3 European countries, later plant manager in Spain and in Global Supply Chain Management for the last 12 years. He headed Global Planning function for Merck/MSD, where he implemented SAP, developed skills in organization and achieved consistently high levels of customer service. Later he lead a team focused on supply network rationalization that delivered over $625 MM in financial benefit, $700 MM in inventory savings, managed over 8,300 regulatory filings and moved source of supply for pharmaceutical products worth over $20 Bn in revenue, without major supply impacts. He is an APICS CSCP (certified supply chain professional). Strong skills in Demand and Supply Planning, S&OP, Change Management, Inventory Management, Pharmaceutical Operations and Supply Network rationalization. Extensive experience in leading and developing teams, project management, risk management and enterprise systems implementation. 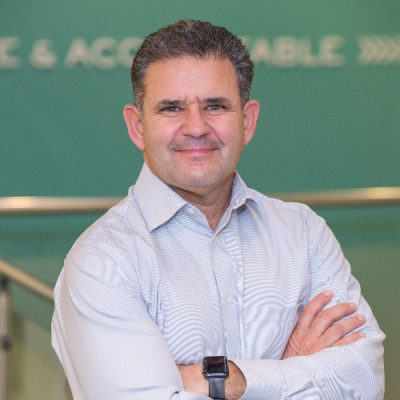 Marcelo has 20 years experience in the health care and consumer/ high tech industries with Bristol-Myers Squibb and other Fortune 500 companies. He has held management positions in the areas of logistics, operations, supply chain planning, customer service and international trade both in North and South America. 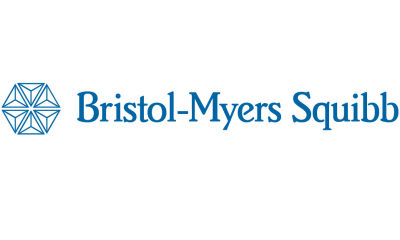 His current role at BMS is Regional Director, Global Logistics Services responsible for distribution strategy, logistics compliance, 3PL management, best practices implementation and customer service. 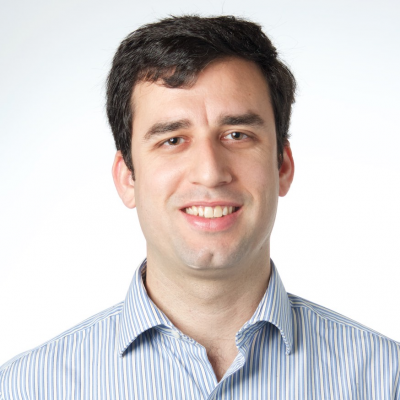 Marcelo holds an MBA from Thunderbird, School of Global Management and a Certificate in Logistics Management from Georgia Institute of Technology. 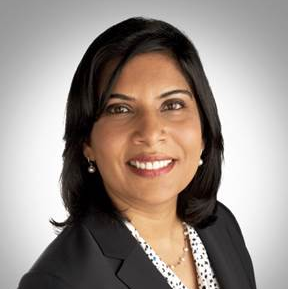 Priya has 18+ years of experience within Transportation Logistics, Medical Device and Pharmaceutical technology deployment. She joined Bristol-Myers Squibb Company, ConvaTec division in 2001, as an IT Business Partner for Global Marketing, R&D and Quality systems. She has held roles of increasing responsibilities as an IT Business Partner for several business areas, such as Medical Affairs, Manufacturing and Supply Chain, HR and Commercial. In 2008 she led the global IT transition as ConvaTec was divested from BMS and was part of the CIO leadership team at Convatec, Inc. from 2008-2012. She then joined Merck in 2012 as manufacturing division SAP Program Director and was responsible for multiple analytics and process improvement initiatives. She was a member of Merck’s Serialization and Track & Trace team. Presently, she is the Head, IT Business Partner for Global Supply Chain at BMS. Her team is accountable for the strategy and planning of digital investments for Global Supply Chain, which includes, Logistics, Planning, Product Master Data and for the BMS Serialization program. She is a published author in peer reviewed journals for Transportation and Network Optimization. 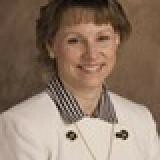 Angela Bagley is the head of Global Planning, Logistics and Master Data at Celgene Corporation. She has extensive experience in Product Development, Technical Operations, and Supply Chain within the biopharmaceutical industry. 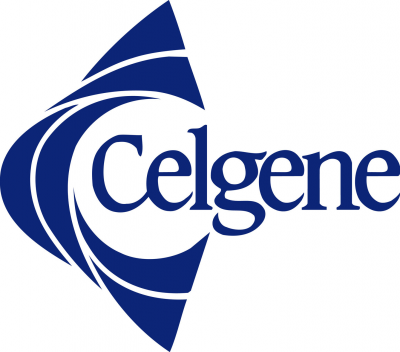 Angela’s Global Logistics organization is responsible for distributing Celgene’s $13B commercial product portfolio, and named patient/ATU supplies, to customers in over 90 countries via 60 logistics service providers & distributors; with on-time/in-full performance greater than 98%. 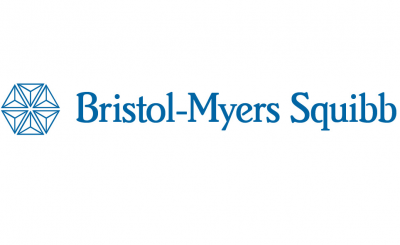 Prior to joining Celgene, Angela was Global Head of Pharmaceutical Supply Planning at Bristol-Myers Squibb. She led a global planning team growth brands including ELIQUISTM and mature life cycle products. Prior to BMS, Angela was a Strategic Product Lead at Shire Pharmaceuticals, responsible for product life cycle management, commercialization, global launch and sales & operations planning (S&OP). Angela started her career at Merck and had various roles with increasing responsibilities across supply chain management, pharmaceutical engineering and technical services and within R&D Process Development. 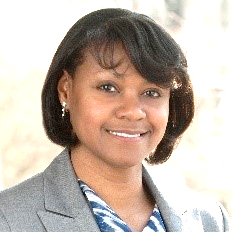 Angela is a graduate of North Carolina State University and is a certified Lean/Six Sigma Black Belt. 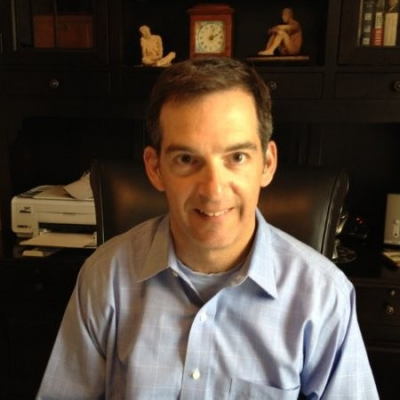 Thomas Scalone has over 14 years experience in the pharmaceutical industry. He currently leads US commercial insourced and outsourced distribution operations and inventory control for Celgene. 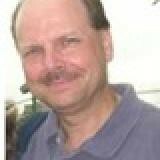 He is also the business owner for US serialization with responsibility for US supply chain compliance. In his previous role, he lead consolidating and outsourcing MSD and Schering Plough distribution operations. He is a Lean Six Sigma Black Belt and CSCP certified. Kevin has over 25 years in the pharmaceutical and biopharmaceutical supply chain, distribution and transportation management world. His primary focus has been on operational and quality improvements while also maintaining or achieving additional cost savings through gained efficiencies. He has extensive experience overseeing the daily operations of in-house distribution centers as well as over 17 years of experience managing third party warehousing, transportation, cold-chain and contract manufacturing vendors and suppliers. He has had responsibility in managing all distribution & logistics operations and vendors for both domestic and international customers & partners. Kevin has experience in managing shipping lanes for all temperature ranges (+15 to +25°C, +2 to +8°C, Frozen [Dry Ice], and Deep Frozen [LN2]), and using various active and passive solutions to meet all shipment size requirements (small parcel, pallet sized air shipments, Truckload, Less Than Truckload, and Sea Container). 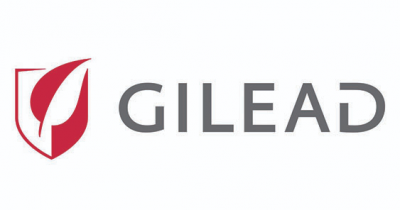 Kevin has worked for various manufacturers over the years and has lived in multiple regions of the country, most recently moving to the San Diego area to work with Gilead Biologics at their Oceanside, California site. Noam Atar takes a vision and makes it reality through sound strategy development. He sees opportunities and brings stakeholders together to help drive change. He is an inspirational leader that inspire action while at the same time is grounded in financial information that levers the business. 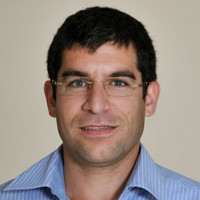 Noam is the Senior Director, Finance and Supply Chain at Ferring Production Inc., a privately-held global pharmaceutical manufacturing company. He has been with Ferring since 2009. He oversees the Finance and Supply Chain operations for Product Supply. Most recently, he led the implementation of CT-PAT and ISA- 2 CBP (Customs and border protection) programs that redefined the import process in the U.S. Previously, he was the Controller for Bio Technology General – a Ferring pharmaceutical subsidiary based in Israel, where he led the implementation of AEO a customs security program that is recognized by CPB(Customs and border protection) as a security validated program . From 2007-2009, he worked at Radware as Controller of International Operations where he stream lined the process of financial reporting enabling faster analyses and decision making . He has spent more than 15 years in finance industry, focusing on improving processes, leading change and demonstrating that the finance function is a key partner to any business decision. 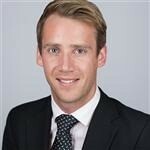 Noam began his career in auditing with PWC. Noam is a CPA , holds an MBA from the Tel Aviv University, and a BA in accounting & economics from the Hebrew University in Israel. Kawa is a dynamic, results-oriented global leader with a passion to create value and achieve results in a way that enhances people and process capabilities. She has succeeded with this balanced approach on four continents and is fluent in Cantonese Chinese, English, and some German. In her current role as Senior Director of Global Planning at Genentech/Roche, Kawa is accountable for the supply of the company’s $30 billion product portfolio worldwide. 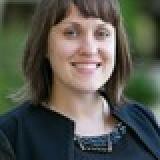 She joined Genentech in 2005 and has worked in San Francisco, San Diego, and Switzerland. Her previous roles in Genentech included Head of Manufacturing, Head of Strategy, Global Head of Operational Excellence and Head of Product Supply Chain Owners. Kawa was one of the first female Department Heads leading Biologics Manufacturing at Genentech and championed the Genentech Women Professional at the Oceanside, CA plant. She has successfully transformed teams and departments from chaotic mode to consistent high performing teams. 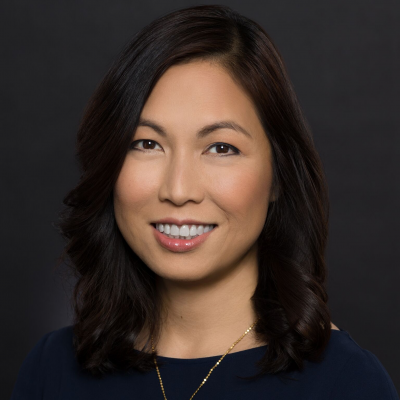 Prior to Genentech, Kawa spent 10 years with Merck where she audited thirty manufacturing plants and led global improvement programs in North America, Latin America, and Europe. Kawa holds a Bachelor of Science Degree from the Ohio State University, a Master of Science in Engineering Degree from the University of Pennsylvania and an MBA from New York University. George Donato has 25 years of experience in developing and leading global integrated manufacturing, technical and supply chain teams. He has extensive experience managing alliance and external supply relationships. George has also developed and managed multiple cross-functional projects for both parenteral and solid dose drug product programs; successfully implemented quality by design processes resulting in improved performance and first time BOH approval and optimal supply chain network solutions to maximize cycle time and minimize cost. He has successful scaled up and launched several well-known new products globally for Iroko Pfizer and Wyeth throughout his career. George is adept at balancing regulatory, quality, technical, supply and commercial needs. He earned his BA Degree in Engineering and his MBA at Widener University. Mr. Neil Ackerman is the Senior Director, Global Supply Chain Enterprise Planning and Innovation, for Johnson and Johnson across all segments including Pharmaceuticals, Biomedical Devices and Consumer Products. He is responsible for accelerating supply chain innovation and enablement of advanced planning processes and technologies worldwide. His team is critical in bringing value based prototyping to life within Johnson and Johnson and beyond. Prior to this role, Neil held various positions at Amazon.com, including Strategy Head for Fulfillment By Amazon and the General Manager and Inventor of the Amazon Small and Light global program. Most recently, he was the Global Director of Integrated Supply Chain, eCommerce strategy and technology innovation at Mondelez International, one of the world’s largest snack companies with brands such as Oreo, Milka, Cadbury's and Nabisco. In this role, Neil was recognized in various global publications for inventing and launching a Direct To Consumer Supply Chain Model for many snack brands including Oreo and Cadbury. He is an expert on eCommerce and supply chain innovations and is published, given multiple keynotes globally for his work on the eCommerce Flywheel and its impact on supply chain for a long term competitive advantage. Neil holds 10 US patents and has been quoted, interviewed and written about in WSJ, Bloomberg, Inc., Forbes, Business Week, CNBC and numerous highly selective international publications. Neil is a winner of numerous leadership awards including the prestigious Amazon.com “Just Do It” Award and was a Distinguished Visitor for the US Navy in 2016. 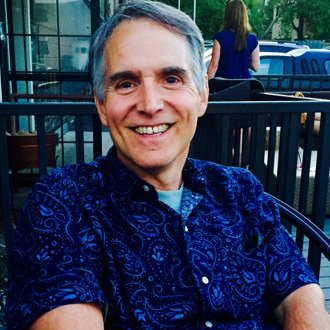 Currently, Neil sits on the local Board of Directors for After School All Stars, a charity providing After School services to 75,000 children across the USA and is an active Board Advisor for multiple start-ups globally including Flexe, the “airbnb of warehousing.” He is a graduate of University of Richmond, UVA and MIT, and he holds a PMP, MBA and MS. An active contributor to numerous academic networks at MIT and UVA, Neil lives in the United States with his wife, 3 children and a goofy dog. Joe is a passionate technologist with 7 years of experience in Operations Research and Data Analytics. He is responsible for the delivery of Advanced and Predictive Analytics as a shared service for Johnson & Johnson globally, and is the founder of the Johnson & Johnson “Data Labs”, a rapid prototyping facility for analytics, machine learning, and artificial intelligence applications. Joe has been an active TEDx Organizer for the duration of his time at J&J, and is more recently the co-host of Season 1 on the “J&J Innovation Podcast” on iTunes, and founder of the ‘J&J Podcasts’ enterprise platform. As Senior Director, Supply Chain customer solutions, Ruben is responsible for development and deployment of Supply Chain Customer Solutions to improve the customer experience with the top tier Medical Devices hospital customers in the United States (top 260 customers). Ruben was recently the Enterprise customer team leader for top IDNs in New York and New Jersey supporting strategic account management, innovative contracting and unique solutions. He also held the position of Chief Procurement Officer, Medical Devices and Diagnostics, and Johnson & Johnson’s Supplier Diversity leader, Ruben is responsible for enabling value creation, innovation, risk mitigation and supplier diversity across a $15 Billion spend base across Johnson & Johnson. Ruben originally joined Johnson & Johnson in 1984 as an engineering intern. Throughout his distinguished 30+ year career, he has rotated 15 times across eight different J&J affiliates spanning all three company sectors -- Consumer, Pharmaceuticals and Medical Device and Diagnostics. During this span, he’s held numerous leadership positions in Procurement, Manufacturing, Planning, Distribution, Transportation, Finance, Customer Marketing and Logistics, Customer account Team leader and Sales management. 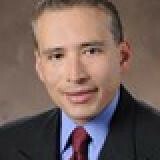 In 2008, Ruben assumed responsibility for the Johnson & Johnson Supplier Diversity program. Ruben brought his knowledge of the business and customers to drive increased executive sponsorship, awareness and accountability to the program. He reached out to partners in marketing, affinity groups and to customers to demonstrate the value and criticality of including diverse suppliers in our supply chain. Under his leadership, Johnson & Johnson’s spend with diverse (minority and women owned) businesses grew over 20% in 2 years and in 2010 the Company’s spend passed the billion dollar mark for the first time ever. Johnson & Johnson is now formally applying to become the first and only health care company to become a member of the Billion Dollar Round Table, a prestigious group of only 17 corporations that spend over one billion dollars annually with diverse suppliers. Among other many accomplishments, Ruben is a past recipient of numerous supplier diversity awards from recognized institutions such as the Long Island Hispanic Chamber, the US Hispanic Chamber of Commerce and the American Association of Hispanic Healthcare Executives. Ruben earned his MBA from Fuqua’s Executive MBA program in 1994 and his BA in Industrial Engineering from Texas A&M University in 1986. He also holds a Masters degree in Manufacturing from the Kettering Institute in Michigan. He was born in Medellin, Colombia and raised in Miami, Florida. Bill graduated from the University of Pennsylvania with a B.S.E. in Mechanical Engineering. Bill has spent his entire career at Merck with 25 years of experience in a broad range of roles in Manufacturing, Technology, and Supply Chain. Bill has worked at several large API and Vaccine/Biological sites. 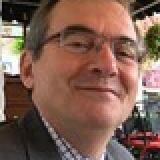 Bill started with Merck in site support activities for a large API site. He supported the entire site in off-hour emergency activities in manufacturing and was part of the site engineering group performing HAZOPs and safety vale sizing. He then moved into direct operations supervisory role in sterile lyophilization and filing of vaccines. He supported daily operations and lead several new product introductions and process transfers form research into the facilities. In Bulk Vaccine manufacturing, he served in various roles for several Recombinant DNA vaccines in both technology and operations. He led a very successful technology transfer from research to small and large scale manufacturing of a HPV Vaccine. He successfully started up two large new bulk vaccine facilities. He also managed daily operations in several other vaccine departments. Bill has been in a global logistics technology role for the previous 5 years. He has worked directly at sites supporting deviation management, new TPS introductions, and day to day operations. He is currently in Center of Excellence that supports global product handling issues focusing on cold chain. He was part of a team that successfully implemented ocean shipping on a global basis for both cold chain and ambient products. He is also involved in supporting unique cold chain shipments for a variety of new products in cryogenic, frozen, and refrigerated states. Bharath partners with senior supply chain and manufacturing executives across Merck KGaA in identifying opportunities to drive best in class performance through advanced analytics, data mining, rich visualizations and new technologies. 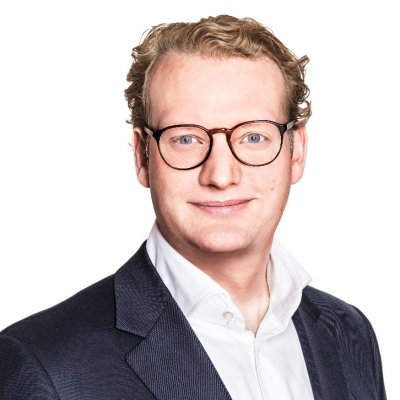 He is currently responsible for the digital transformation of the global manufacturing and supply chain function of the Biopharma business of Merck KGaA and particularly focused on autonomous operations. Jounal is Head of Supply Chain Management, External Supply Operations (ESO) Americas for Novartis, Sandoz, and Alcon. Jounal leads a cross divisional team responsible for 3rd Party Supply Chain Planning, Product Life Cycle Management, Operational Excellence, and Artwork Operations for the Americas Region. With nearly 18+ years of experience in Global Supply Planning, Operations, Internal and External Supply Management, Jounal has demonstrated success in global change management initiatives, redesigning and optimizing Supply Chain organizations, improving customer service levels, recruiting talent and building high performing teams. Jounal earned his Bachelor’s Degree in Chemical Engineering from the Stevens Institute of Technology, Hoboken NJ, with plans to complete a Master’s in Pharmaceutical Manufacturing from his Alma Mater later this year. Eric heads Pfizer’s Supply Chain Performance organization and is primarily responsible for global inventory management & reporting as well as Pfizer’s Supply Chain Digitization strategy. 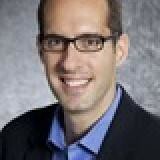 Eric is a member of Pfizer’s Working Capital Optimization team. In his Supply Chain Digitization role, he is responsible for design, development, deployment & sustainment of next generation tools and processes to measure & drive continuous improvement of supply chain performance from raw material procurement through finished good delivery to customers. In addition, Eric heads a variety of platform services including Drug Shortage Reporting, Serialization Supply Chain Planning, Supply Chain Process & relevant master data governance. Previously Eric was head of Supply Chain Planning for Pfizer Essential Health. Carl Accettura is the Vice President & General Manager for PharmoRx Therapeutics, Inc., an emergent company, engaged in early stage development of novel therapy for the central nervous system, including Treatment Resistant Depression and Parkinson’s Disease. Carl has 30 years of BioPharma industry experience with both Big Pharma - Pfizer, Roche, BMS – and Emergent Pharma companies - Anesta, Cephalon, Kyowa Hakko Kirin, Dainippon Sumitomo Pharma America, Sunovion, and Braeburn Pharmaceuticals. Carl has held executive level (VP) positions in the areas of supply chain, new product development and operations. He has overseen the development of end-to-end supply chain strategies, operations, and product launches across the US, Europe and Asia. Carl successfully launched major branded drugs (Procardia XL, Diflucan, Norvasc, Zithromax, Zoloft, Cardura, Actiq and Latuda) globally. He did this by ensuring advanced commercial readiness through effective global and regional regulatory filings and approvals. He founded a consulting firm, Global Pharma Consulting, which was established to support small and medium-sized companies commercialize Rx products. Carl’s prior role was Vice President, Supply Chain at Braeburn Pharmaceuticals, where he developed the virtual supply chain for commercial launch readiness of a novel opioid implant product. He championed a novel trace and trace solution with partner, Covectra, for Probuphine’s strategic positioning as the “safest in the market”. 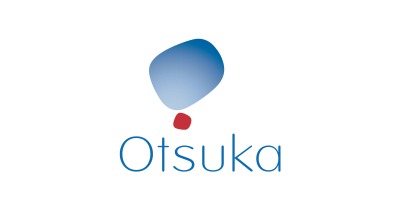 He also developed the virtual supply chains at Anesta Pharmaceuticals, Kyowa Pharmaceuticals, and Dainippon Sumitomo Pharma America. Carl’s subject matter expertise in pharmaceutical new product launch and supply chain management makes him a sought after speaker. He speaks each semester at the Cornell University Enterprise Engineering Seminar. Carl earned a B.S. with distinction from Cornell University in Mechanical Engineering. He also holds a M.S. from University of Illinois and a M.B.A from the Stern School at New York University. 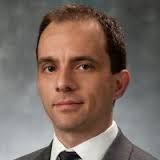 Sam Ruda joined the Port Authority of NY & NJ as the Assistant Director, Port Business Development, in August of 2015. In this role, Sam oversees the retention and growth of the Port’s maritime business lines. Additionally, this role has oversight of the Port’s marine property and leasing division. In December of 2016, Sam was named Deputy Director with additional responsibilities covering port performance initiatives and innovation. Prior to joining the Port Authority of NY & NJ, Sam was Chief Commercial Officer (CCO) for the Port of Portland (Oregon). In this role, Sam had responsibility for the maritime and aviation business activity in addition to the Port’s industrial real estate portfolio. From 2003 to February of 2012, Sam was the Director of Marine and Industrial Development at the Port of Portland. Born and raised in New Jersey, Sam began his career as a management trainee with the global container carrier Sea-Land Service. He has also held sales and management positions with American President Lines and NYK Line. From 1997-2001 Sam was Coordinating Manager for NYK’s North American Liner division based in Tokyo, Japan and later had responsibility for North Asia Marketing and Pricing based in Hong Kong, PRC. Prior to joining the Port of Portland, Sam was Director of Global Transportation for Nike Inc, overseeing international logistics for the Beaverton, Oregon based athletic footwear and apparel company. Sam holds a bachelor’s degree in economics (1985) from Rutgers University. 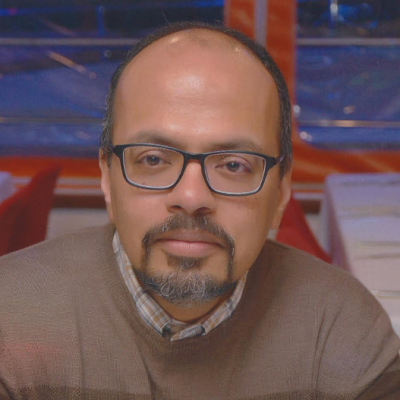 Kaizar Lehri is Director of Supply Chain Systems at Regeneron Pharmaceuticals. He leads a team that is responsible for supply chain transformation and technology implementation, global serialization, and master data management. Kaizar has over 20 years of experience in the pharmaceutical / biotech industry with companies like IBM, Medeva, Celltech, UCB, Biogen and Regeneron. He has held various leadership positions in supply chain including demand and supply planning, S&OP and distribution optimization. 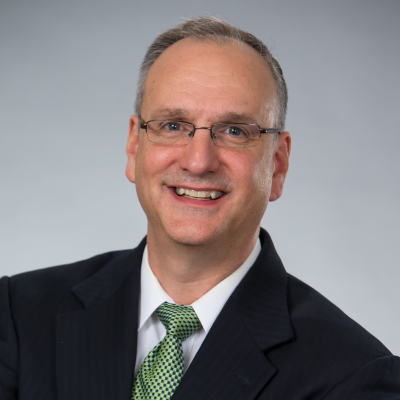 He has led multiple new product launches, serialization programs, business process improvement initiatives, and ERP and planning system implementations. 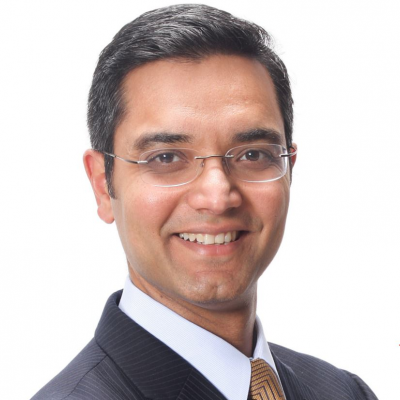 Kaizar earned his bachelors degree in Engineering from Mumbai University in India, and his MBA from Goizueta School of Business (Emory University - Atlanta GA). Kevin has over 25 years’ experience in the Life Sciences Industry and is passionate about advancing the role of Supply Chain for competitive, business growth while meeting our patient needs. Kevin's career in healthcare spans supply chain management, customer service, distribution, planning and manufacturing. His lifelong passion for Supply Chain is focused on how we can drive innovation while delivering best in class operational and team results. This focus has led to many successes, including several major drug launches, utilization of the Toyota production system to reduce lead time and deployment of large ERP/SAP systems. His strategy and process design expertise helped facilitate the successful acquisitions in multiple organizations throughout her career. Michele has over 25 years of experience with Supply Chain roles in several industries – chemical, consumer package, and pharmaceutical. Currently she is Executive Director of Customer Operations and Demand Planning at Sandoz Pharmaceutical, a Division of Novartis. Prior to her current role at Sandoz , she was Director of Commercialization and Business Operations at the Campbell Soup Company. She has led several large global organizations and corporate projects. She is known for her ability to navigate and influence across the organization, help organize and drive improvements, with a track record of delivering results. She is passionate about developing and mentoring personnel. Michele continues her commitment to supporting the development of future female leaders in her volunteer activities. Currently she is a member of the Diversity and Inclusion Council at Sandoz. Previously, she was the co-chair of Women of Campbell’s and former Chair of the Board of Trustees for the Alice Paul Institute, a non profit organization dedicated to educating about the life of Alice Paul, author of the Equal Rights Amendment and a lifelong activist for women’s equality, and developing the next generation of leaders. She has been a long time volunteers on the United Way Women’s Initiative committee, which involved mentoring several middle-school teenagers through that program. She holds a bachelor degree in Chemical Engineering and a Masters of Business Administration. 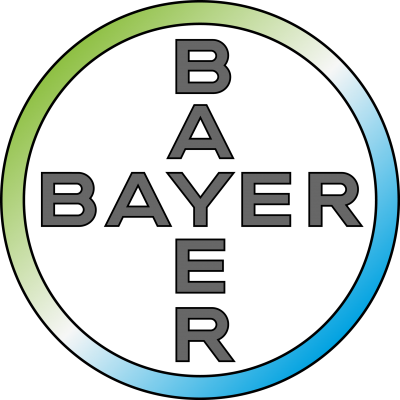 Regional Serialization program Manager: Graduated in Chemical Engineering from Widener University, with 34 years’ experience in the Pharamceutical industry in Engineering, QA, Supply chain and Manufacturing sites . I have been involved in Serialization Globally since 2005 starting with the California Serialization regulation and Turkey. Currently monitoring Global Serialization programs and the effects on the internal supply chain and opportunities to use serialization for business strategies. Currently managing the implementation of DSCSA requirements from a plant sites to reverse logistics Represent Novartis on GS1, PDSA and AAM supply chain task force for DSCSA. 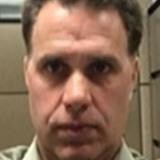 Ed Ram is Senior Director, Supply Chain at Sagent Pharmaceuticals near Chicago, Illinois. He is responsible for their global supply chain -- production planning and moving finished goods from India, China, Europe, and South America to and throughout North America. Ed has over 20 years of supply chain and strategic sourcing experience working with Baxter Healthcare, Allegiance Healthcare, and Cardinal Health. He has a track record of change and innovation employed to create improved supply chains between business partners. These accomplishments include utilization of scorecarding, vendor managed inventory (VMI), electronic data interface (EDI), freight lane and network optimization, and business modeling. His supply chain work at Baxter is featured in the book – Supply Chain Optimization. Previous to Ed’s association with the healthcare industry, he was with Accenture in their distribution products practice. His client engagements included Sears and North American Philips. Ed has also completed 22 years of service in the U.S. Navy and U.S. Naval Reserve Supply Corps achieving the rank of Commander. He has received awards for his logistics and procurement work including the Navy Commendation Medal and the Joint Services Achievement Medal. He has a BS in Economics from The Wharton School, University of Pennsylvania and an MBA in Finance and Marketing from Booth GSB, University of Chicago. Paul Testa is the Head of Global Supply Chain for Shire. 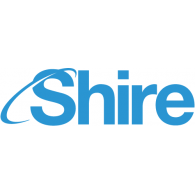 He serves on Shire’s Technical Operations Leadership Team and the Corporate Inline Product Review Committee. He steers and serves as a collaborative sponsor for several other internal manufacturing and business process governance boards. He is based in Shire’s Exton, Pennsylvania facility. Paul has more than 25 years of experience in a unique mix of industries and roles along the supply chain – including general management and leadership roles in all aspects along the end-to-end Supply Chain. He has experience in the Aerospace, Life Sciences, Contract Manufacturing, and Biotechnology Industries. Paul is a passionate developer of people and talent pipelines, working within organizations and with universities, professional associations, and recruiting firms to find, place, retain, and accelerate the challenge and development of the most qualified professionals. He has come to appreciate the challenges and rewards associated with engaging teams to make levels of performance, once thought impossible, actually become reality. This passion is highlighted by his work with the Healthcare Businesswomen’s Association (HBA) where he serves as a Program Mentor and with the Life Sciences Pennsylvania (LSPA) where he serves as a boardmember. Paul has earned a BS in Industrial Engineering from Rensselaer Polytechnic Institute in Troy, New York, a MS in Manufacturing Engineering from Washington University in St. Louis, Missouri, and a MBA from Boston University in Boston, Massachusetts. Outside of work, Paul enjoys endurance sports – he has completed 10 marathons and 3 Ironman 70.3 races. He has been a youth basketball coach, practicing his communication and development skills on young people as well. He and his wife Rebecca have 3 children and enjoy travel and experiencing the cultures of the world. Daniel J. Hoey has nearly 30 years of experience in the global pharmaceutical industry as a senior leader specializing in supply chain management, manufacturing and business operations. 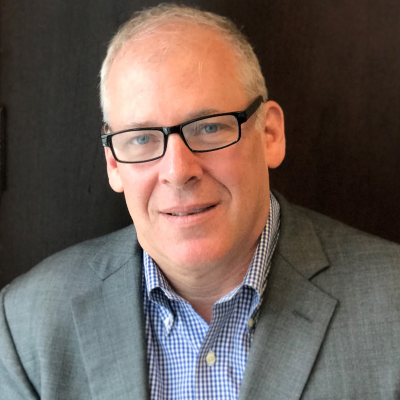 In September 2017, Dan was appointed Senior Vice President, Global Supply Chain, Teva Global Operations, with responsibility for ensuring the highest levels of customer service for the largest and most competitive fully integrated global manufacturing and supply chain organization in the industry. With unrivaled capabilities across the full spectrum of technologies, Teva’s global operations network delivers high-quality, patient-centric healthcare solutions to millions of patients in over 100 markets every day. Previously, Dan led Global Manufacturing and Supply Chain for Teva Active Pharmaceutical Ingredients, and held oversight responsibility for Teva’s Biologics Operations. Prior to joining Teva in 2016, Dan held senior leadership roles for global operations at Merck where he served in a variety of technical operations, supply chain, and contract manufacturing roles during the course of his 27 years there. Dan earned a Bachelor of Science in Chemical Engineering from Michigan State University. In addition, he holds an Executive Belt in Lean/Six Sigma and is also certified in change execution methodology and behavior-based performance improvement. 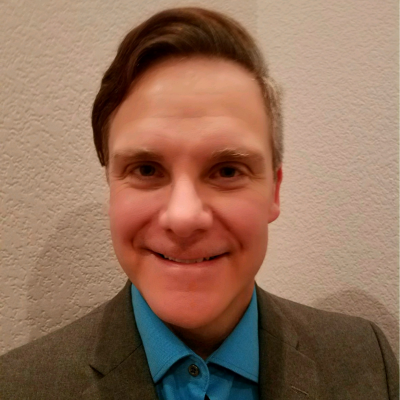 M. Dave Malenfant is currently Executive Vice President of Industry Liaison and Talent Development for the BSMA (Biotech Supply Management Alliance). He also serves as Director and oversees the Advisory Board for the Center for Supply Chain Innovation at Texas Christian University. 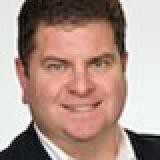 Dave is responsible for driving Industry relations in the Biotech, Biopharma Supply Chain for the BSMA. Prior to this appointment, Dave served on the Advisory Board for the BSMA from its inception. With a passion for talent development and career planning, Dave has helped both the BSMA and the Center for Supply Chain Innovation drive Young Professional career development and mentoring programs for students. Prior to joining the BSMA and TCU, Dave spent over 30 years in a variety of industry roles. As an entrepreneur, Dave was Co-founder and President of Signature Consultants, Inc., (1973) a business, finance, and economic consulting firm that he ultimately sold in 1993. He created and operated a variety of other businesses that are still profitable in Canada today. 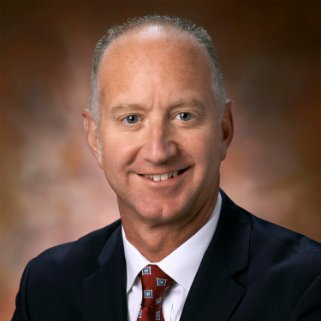 In 1993, Dave joined Alcon Laboratories where he steadily advanced through leadership roles such as Purchasing Manager, Materials Operation Manager, and Global Supply Chain Director before becoming the Vice President of Global Supply Chain in 2005. In this role, Dave provided strategic direction for the company’s Global Supply Chain initiatives and created global centers of excellence for Purchasing, Distribution, Transportation, Customer Service, Sales and Operations Management, Data Management, Graphic Design and Artwork Development, and Product Launches. Dave retired from Alcon in 2014. Dave is recognized for the creative development of standardized systems and business processes, and for developing enabling technology throughout the entire supply chain. During his career, Dave has implemented over 30 different computer systems – WMS, ERP, Finite Scheduling, Product Launch, and Order Entry, among others. Dave is past Chairman of the Supply Chain Council and past member of the Executive Committee of NASSTRAC Given his vast knowledge of the end-to-end, integrated supply chain, Dave is a frequent speaker on Global Supply Chain Trends. He has consistently demonstrated his passion for Supply Chain management, developing talent, and the need to advance Supply Chain theory and innovation throughout a variety of industries. 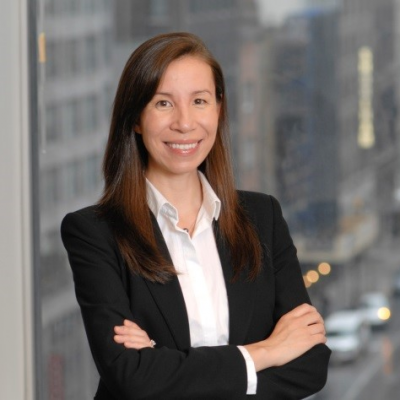 Carly Guenther is a Managing Director in the Life Sciences Management Consulting practice of Accenture and specializes in navigating global organizations through complex challenges related to visibility and security (serialization) within the supply chain and large scale digital transformation (e.g. IIoT, RPA/AI, Blockchain). Carly's areas of expertise include strategy definition, business process design and deployment, change management, and deployment - specifically within Life Sciences Supply Chain. Carly graduated from Purdue University where she holds a bachelors degree in Industrial Engineering. She received a Masters of Business Administration degree at University of North Carolina - Chapel Hill. Anne Marie O’Halloran is a Managing Director in Accenture’s Products Operating Group, where she leads Accenture’s Industry X.0 practice for the Life Sciences sector. The practice brings together services to help our clients realize value from digital transformation across the product lifecycle in a connected Internet of Things (IoT) world, from engineering and product development to manufacturing and digital operations. In 20+ years with Accenture, Anne Marie has worked globally across North America and Asia leading programs that support life sciences and medical technology clients in transforming their supply chain and manufacturing capabilities. 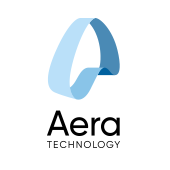 Her client work has spanned targeted strategic projects to large-scale technology enabled transformation initiatives. Anne Marie holds a Bachelor's degree from Cornell University and resides in New York City. Nishant is a Manager in Accenture’s Management Consulting organization. He is a member of the Products – NA practice, with a specialty in pharmaceutical serialization, supply chain management and Blockchain. Nishant has spent over 11 years working in auto identification and serialization projects for major pharmaceutical manufacturing and distribution companies. He has focused on supply chain, track and trace, emerging technologies, business and IT strategy in the pharmaceutical industry. Brad Pawlowski is Managing Director in Accenture’s Life Science Supply Chain practice and a recognized expert on Business Transformation programs. 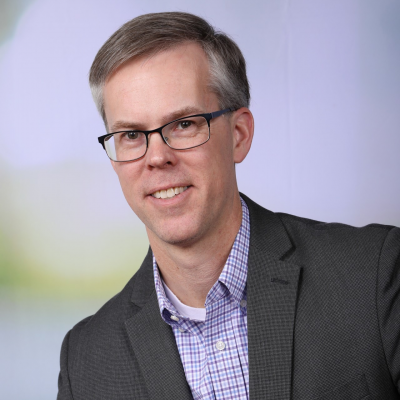 The global leader of Accenture’s Supply Chain Planning and Advanced Analytics practice, Brad has broad experience managing international teams in diverse industries and markets, including healthcare/life sciences, consumer products, high tech, and aerospace and defense. A focused and energetic leader with experience driving business transformations and organizational change, his areas of expertise include developing strategies for global supply chain management, product management, business development, and enabling technologies. An entrepreneur at heart, Fred founded his first company at the age of 23. 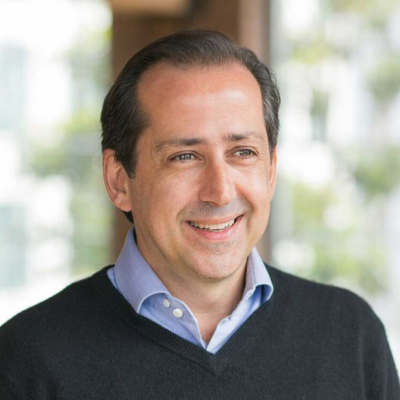 Prior to launching Aera, Fred was the CEO of Anaplan, which he grew from 20 to 650 employees, and a $1B+ valuation. 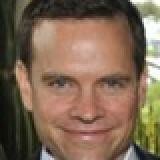 Before that, he held several executive positions at SAP, Business Objects and ALG software. Tamir has over 20 years of international business development and consulting experience in enterprise technology solutions. Prior to Bringg, Tamir worked with Fortune 500 companies by introducing them to solutions for logistics and quality management across multiple industries. He has helped various organizations maximize their operational efficiency by designing and harmonizing the interaction between their people, process, and technology. 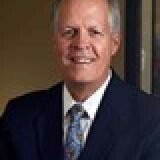 He is an accomplished and resourceful sales executive with 26 years of industry experience. He has a proven track record of converting large business initiatives and transformational projects into profitable business ventures. He is an APICS Certified Supply Chain Professional with a highly motivated and competitive approach to business. 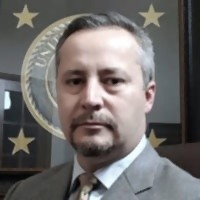 He also has 14 years of military experience which paralleled his business career, with two combat deployments to Operations Desert Shield/Storm and to Operation Noble Eagle in support of Operations Iraqi Freedom and Enduring Freedom. In the roundtable session Oscar will highlight how organizations are making better business decisions as they collect and analyze data from the edge of the supply chain with Internet-of-Things technology. Gisli Herjolfsson is Co-Founder and CEO of Controlant, a B2B cloud, IoT, and services provider headquartered in Reykjavik, Iceland with operations in North America and Denmark. Mr. Herjolfsson founded the company with colleagues from the University of Iceland during the onset of the H1N1 “Swine Flu” outbreak. The wireless, reusable data logger and software technology was used by Iceland’s Directorate of Health to safety monitor the transport and storage of vaccines throughout Iceland, reducing wastage due to temperature excursions to 0.3 percent. Today, the company serves more than 200 customers, including SMB and Pharmaceutical enterprises, in 100 countries globally. 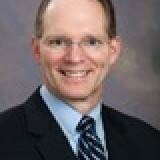 Scott Allison is president of the DHL Life Sciences & Healthcare sector. 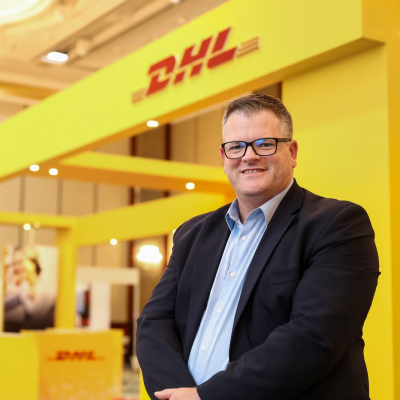 He is a member of Customer Solutions & Innovation Senior Management Team, a member of the Solutions & Innovation Board, DHL Life Sciences Supply Chain Board and heads the DHL Life Science & Healthcare Steering Committee and the Customer Logistics Advisory Board. He is responsible for driving growth and development of the global DHL Life Sciences and Healthcare sector and oversees strategy and solutions development in addition to his commercial duties. Scott is a supply chain professional with over 25 years of experience and joined Deutsche Post DHL Group in 1992, working in DHL Global Forwarding and DHL Supply Chain before moving into more commercial and strategic roles in the early 2000s. 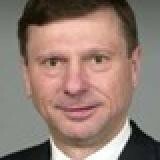 Most recently, he led the DHL Technology sector first in EMEA and then in the Americas. In both regions he was responsible for the development and execution of global technology strategy, including the development and delivery of supply chain solutions, strategies and growth for some of the world’s largest technology companies. A native of Scotland, Scott lives with his family in Dallas, TX, USA. 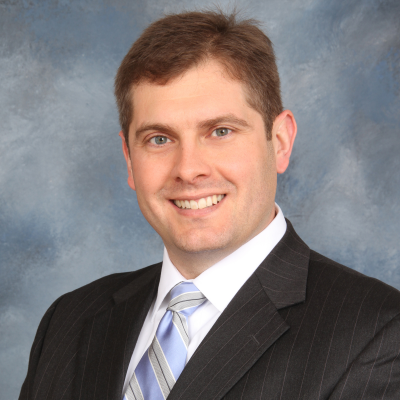 Partner Matthew Deep serves as the vice president of technology at DMLogic. He oversees all development of the STEPLogic platform as well as the platform products STEPLogic Trace and STEPLogic Warehouse. Matt was one of the instrumental developers of the serialization product, STEPLogic Trace, and oversaw the team implementing the product at Johnson & Johnson. 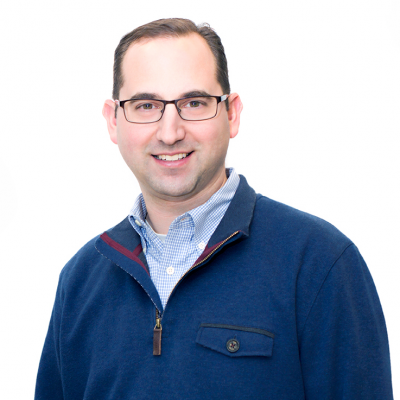 Matt has overseen the technology efforts of many projects, most notably at Johnson & Johnson and GlaxoSmithKline including serialization, clinical trials and WMS technology upgrades and software implementations. As the leader of the pharmaceutical practice at DMLogic, Matt is often called upon to speak on issues relating to traceability, serialization, data integrity and visibility across the supply chain in accordance with all DSCSA regulations. He has spoken on multiple panels in the industry and was an instrumental member of the Johnson & Johnson Supply Chain team when the project was awarded a 2016 Supply Chain Innovation Award by the Council for Supply Chain Management Professionals. Matt has authored several white papers and case studies on pharmaceutical supply chain topics and is often interviewed for leading trade publications. 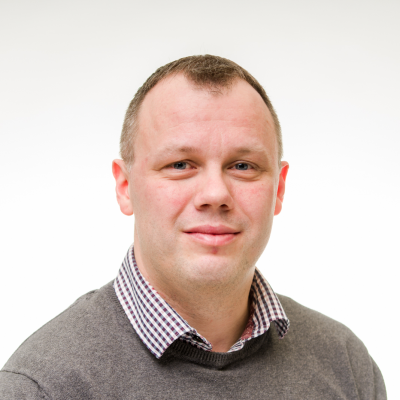 With more than 20 years of experience in WMS systems, Matt also brings extensive experience in the electronics, retail and automotive industries and has implemented solutions in 10 countries. Starting his career in 1997 as a technical consultant with TRW, Matt managed all North American project support for MARC Global, before its purchase by RedPrairie. He also held senior manager positions at Fisher Scientific and 7Hills Global Consulting before founding DMLogic in 2009 with his current partners. Matt holds a Bachelor of Science degree in Industrial Engineering and an MBA focused on Supply Chain Management from Penn State University. He currently resides in Pittsburgh with his high school sweetheart and two children who learned how to use the STEPLogic platform at ages 7 and 9. He also proudly serves as President of his Church Council and has project managed his church building project for the past 9 years. 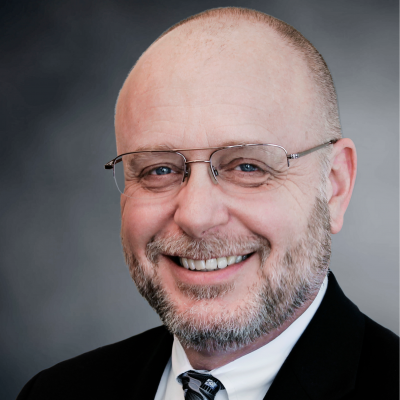 Tom Strohl, an Oliver Wight principal, is a consultant, coach, and educator providing companies with guidance in Operations Planning and Control and Integrated Business Planning. In a career spanning more than 30 years working in industry, Tom has developed an acute awareness of the need to bring formality and process to both the business systems and the human capital needed to run those systems. He views the readiness of employees to embrace fundamental change in any business process as a critical success factor for sustained excellence. Specializing in Operations Planning and Control principles, Tom has excelled in business turnaround situations. He has repeatedly used Proven Path tools and concepts to influence companies to formalize systems of control and business processes for Demand, Supply, and Inventory Planning. In every case, this has resulted in the desired improvements in reliability and predictability of product supply, product quality, cycle times, inventory turns, and conversion costs. Tom led a successful Class A Accreditation effort in Planning and Control for one $200 million business unit of Watson Pharmaceuticals resulting in savings in operating costs and working capital of over $28 million, full alignment of production processes, quality systems and human capital, improved inventory turns, cycle time reduction, scrap reduction, and improved service levels. Immediately following accreditation, Tom then led a successful JD Edwards ERP system implementation. This system implementation was completed in only 9 months, on time and on budget, in a near flawless execution of the implementation plan largely facilitated by the systems of control, business processes, and employee readiness created through the Planning and Control initiatives. As vice president for Qualitest Pharmaceuticals, Tom led a successful effort to bring Fast Track S&OP/IBP to the business along with implementation of Oliver Wight’s Enterprise Sales and Operations Planning Tool (ESOPT). This resulted in an integrated process for managing demand, supply and inventory planning, new product development, and financial planning and aligning them with the strategic initiatives of the business. Tom earned his BS in Business Management from Mankato State University. 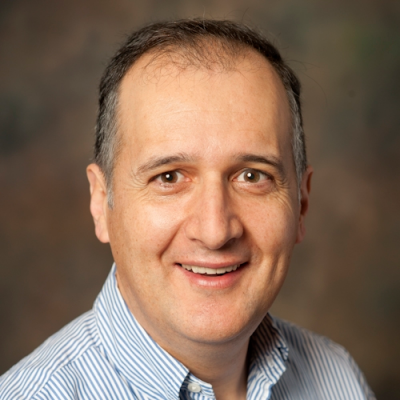 Rodolfo is an industrial engineer expert in the movements of pharmaceuticals by airfreight. 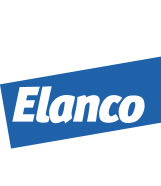 He was in charge of the CEIV PHARMA for both Airline and handler certifications within LATAM CARGO. Rodolfo holds 6 years of worthwhile experience in the airfreight sector, 2 years in which was an important member of the PHARMA product developing team within LATAM CARGO, leading the project by the operational side. Now Rodolfo is the head of the product development and management unit of the company. Barry is the CEO and Founder of Overhaul, an Austin based technology company providing real-time visibility and risk management solutions designed to protect product integrity and bring compliance to the global transportation industry. With over 30 years of supply chain security experience, Barry is considered one of the originators of modern-day supply chain security standards and best practices which have been adopted by shippers of high-value and sensitive freight worldwide. 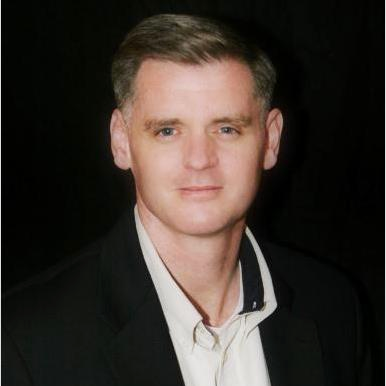 Kevin Lawler is the Vice President of Worldwide Sales at Pelican BioThermal. During his nearly nine years with Pelican BioThermal, the company has achieved average year-to-year skyrocketing growth rates of over 40 percent. With more than 25 years of successful sales leadership experience, Kevin has a strong history in building and leading sales organizations capable of producing strong and predictable growth. Kevin earned an MBA from the University of Montana and resides with his family in Stillwater, Minnesota. Brooke Williams, Director, Supply Chain Business Network – Brooke is a supply chain expert, with over 25 years experience in this field of practice. Brooke has held a variety of positions including consultant, solution engineer, and value engineer in his 20 year career at SAP. In his current role, Brooke is helping SAP Ariba customers identify business value through digital supply chain collaboration processes. He is excited to be a part of the network technology evolution that is transforming the way leading supply chain partners communicate. Brooke is an APICS certified CPIM. He holds a Bachelor’s degree in Industrial Management and an MBA with an Operations Research focus, both from the University of Alabama. He resides near St. Louis, MO with his wife and two teenage daughters. He enjoys all things outdoors, including fishing and making things to grow in the garden. Luca is CTO-Smart Cold Chain at Sensitech, where he is leading technology strategy and new tech developments. 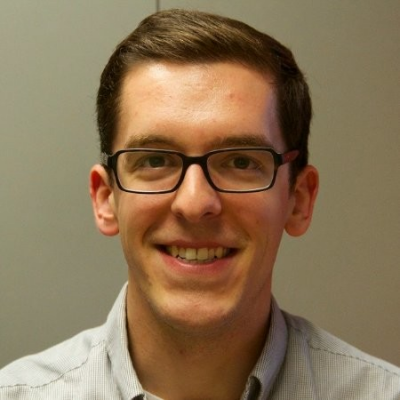 Prior he was a program manager in data analytics and user experience in the Otis Program Office, and prior, had experience with new technologies, such as augmented reality, virtual reality, and autonomous systems at the United Technologies Research Center. He has a Ph.D. from MIT in aeronautics/astronautics, focusing on robust planning for drones. Richard is the co-founder and CEO of SkyCell, the 4th largest pharma airfreight container provider with the mission to supply the safest pharma containers worldwide. This is achieved through the unique combination of hardware, software and service, enabling our clients to master logistical challenges and eliminate temperature excursion. Twelve of the top 20 pharma companies have tested and verified SkyCell as the safest solution on the market, with less than 0.1% temperature deviations since launch. The efficient insulation and cutting-edge cooling technology enable the containers to keep the temperature up to 160h. All containers are equipped with IoT sensors, leading to a seamless supply chain through global tracking and monitoring. 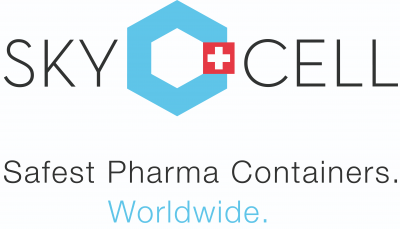 Based in Switzerland and with a global service station network, SkyCell is serving pharma companies around the world. 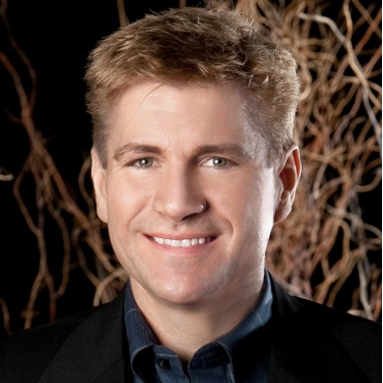 Richard holds a Bachelor of Arts in Management from Université de Fribourg and Stanford University CA. He helped to build up the Institute for Value-Based Entrepreneurship “IVE” in Switzerland, which provided to more than 2500 students business plan creation classes to date. 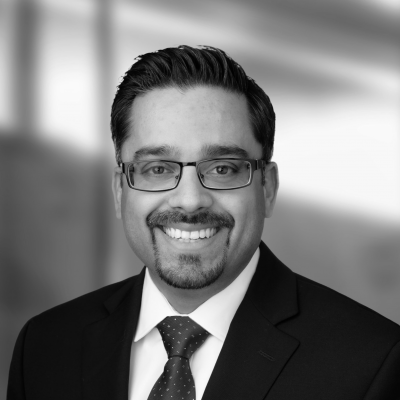 Vishal Khushalani currently leads Sonoco Protective Solutions’ global marketing and business development organization. 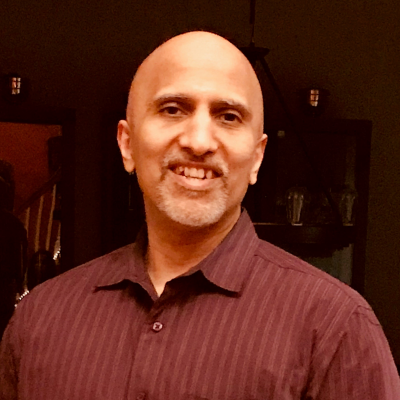 Over the last 20+ years, Vishal has led and managed various assignments with Fortune 1000 companies in business development, marketing, product innovation, and mergers and acquisitions across Americas, Europe, and APAC regions. Vishal has a Bachelor’s Degree in Process Engineering and holds an MBA from the Darla Moore School of Business, University of South Carolina, USA. 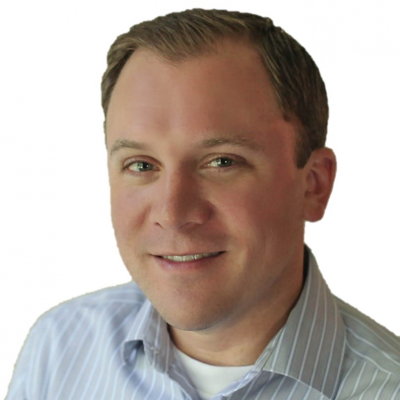 Ben VanderPlas is the Manager of Engineering & Product Management for Sonoco ThermoSafe. He graduated with a Bachelor of Science from Michigan State Universities School of Packaging and has a Masters in Engineering Management from Northwestern University. Over the past 14 years Ben has had various roles within ThermoSafe including engineering, sales, and marketing. He retains a Certified Packaging Professional designation from the Institute of Packaging Professionals and has co-authored technical supplements to the World Health Organizations Technical Report Series Number 961, for the Qualification of Shipping Containers. Shabbir Dahod is President and Chief Executive Officer of TraceLink and a member of the company’s board of directors. He co-founded the company in 2009 with a vision of building a business that will transform how life science companies manage the manufacturing, packaging, distribution, and dispensing of pharmaceutical products across a network of trading partners in the global life sciences supply chain. For well over a decade, Dahod has dedicated himself to pharmaceutical supply chain integrity, making it his mission to protect patients around the world. A few years before the US Drug Supply Chain Security Act (DSCSA) was passed, Dahod launched TraceLink and introduced the Life Sciences Cloud, a cloud-based software platform hosted by Amazon Web Services that has become the world’s largest track and trace network for the life sciences supply chain. His passion for cutting-edge technology and business model innovation was the driving force behind what is now the de-facto industry standard for meeting time-bound global regulatory compliance requirements and protecting patients across the globe from the threat of counterfeit medicines. Early in his career, Dahod worked with Microsoft co-founder Paul Allen at his Seattle-based startup, Asymetrix, where he established the company as a leader in Multimedia Authoring technology in the computer based learning market. With Allen, Dahod researched and incubated a number of emerging web-based products and technologies, including early initiatives in e-commerce, natural language query, online sports, digital media, and Java development tools. He eventually served as a Senior Executive of the Paul Allen group of companies, and later joined Microsoft as a Senior Leader to spearhead collaboration and knowledge management efforts using emerging XML standards and new Internet communication tools. Dahod holds a Bachelor of Arts degree in computer science from Boston University. 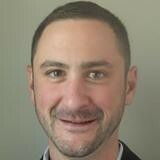 Brian Daleiden, Vice President of Industry Marketing, is at the helm of TraceLink’s thought leadership, global regulatory analysis, and market education programs which serve to inform and guide internal industry stakeholders about emerging and ongoing regulatory, business, and technical requirements. As head of the TraceLink Life Sciences Cloud Community, he is charged with building the company’s global community network, bringing together thousands of key executives from across the global life sciences supply chain to discuss key issues and collaborate on transformative solutions through regular industry forums, workshops, and web events. Prior to TraceLink, Daleiden was in charge of product and corporate marketing at SupplyScape Corp., a recognized leader in pharmaceutical supply chain security and integrity solutions. In addition, he has held marketing, product management, and software development leadership roles focused on the global manufacturing, process control, and supply chain space at Catalyst International, Rockwell Automation, and a number of startup companies. Daleiden holds an MBA from Vanderbilt University’s Owen Graduate School of Management and a Bachelor of Science degree from the University of Wisconsin. He has been a noted contributor to numerous journals and publications, is a regular speaker at industry events around the world, and currently sits on several steering committees and working groups devoted to standards and interoperability, including GS1, the Open Serialization Communication Standard (OPEN-SCS) Working Group., and the Healthcare Distribution Alliance Verification Router Task Force. Jim is an experienced Executive with over 20 years in the Enterprise Software, Life Sciences, Healthcare, and Manufacturing industry. 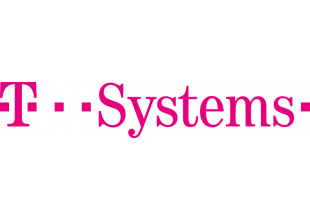 He leads the T-Systems North America Healthcare and Life Sciences vertical. He has been engaging with clients on DIGITAL TRANSFORMATION through numerous projects leveraging: Cloud, Big Data, and IoT. Jim is active in Pharma dealing with the Drug Supply Chain Security Act (DSCSA) and the FDA regulatory guidelines. Working with partners to bring new Healthcare solutions that help Providers and Payors leverage the benefits of cloud hosting. He has a background and experience in Clinical Development; Supply Chain Management; Manufacturing; CRM (Sales and Service); IoT; Big Data / Analytics; Cloud Computing; Blockchain, and Regulatory Standards using SAP, Oracle and Microsoft solutions. 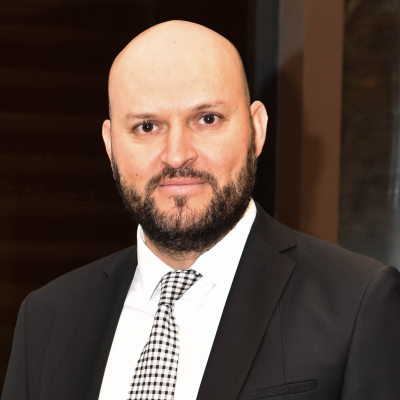 Mr. BUYUKKAYMAZ worked as Customer Relationship Manager and Logistic Operations Manager in reputable global and domestic companies with extensive experience more than ten years. He was responsible for transport and distribution operations, business ethics, customer satisfaction, operational efficiency and profitability assessments. In the last 5 years of his career, he has been working as Special Cargo Manager in Turkish Cargo. He is responsible from management and coordination of product development projects. In coorperation with other departments, Mr. BUYUKKAYMAZ develops new products and services and provides enhancements to existing ones on a regular basis. Following closely the trends and latest technological developments in air cargo sector, attending to workshops and international seminars related to special cargo operations are of his great interest. 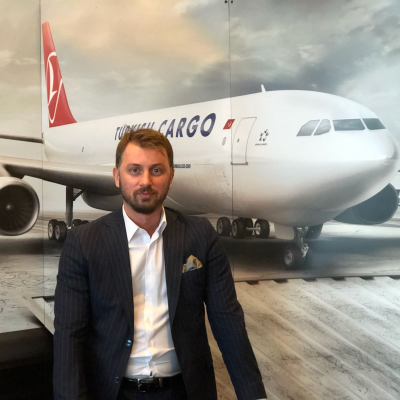 He develops sales plans to support Turkish Cargo’s regional sales-marketing teams world-wide specifically in relation to special cargo consignments. Mr. BUYUKKAYMAZ ensures publishing of supplementary articles on special cargo by IATA. His management announces newsletters related to special cargo to entire Turkish Cargo organization in order to set corporate standards in and outbound and mitigate operational risks. Mr. BUYUKKAYMAZ is entitled with IATA’s CEIV Pharma Certificate and is Pharma Responsible Person in Turkish Cargo organisation. İbrahim Sipahi began his career as finacial auditor at KPMG Turkey. He started with Turkish Airlines in Catering and Inflight Products Division as Global Catering Contracts Specialist in 2012. There, he managed alliances for long haul destinations with global airline catering companies such as Gate Gourmet, Dnata, SATS, LSG Sky Chefs as many other local ones to serve TK passengers a standardized return catering all around the World. In 2014, he joined Turkish Cargo, a cargo subsidiary of Turkish Airlines. As Global Cargo Handling Contracts Specialist, he successfully managed ground handling negotiations with ramp and cargo handling agents resulting in improved service quality and minimized handling costs. He was also responsible from the control of the accuracy of the invoices on SAP system. Since 2016, İbrahim is working as Cargo Product Development Specialist under Special Cargo Management taking part in launching new cargo products and solutions globally for Turkish Cargo and its customers. With the implementation of TK Pharma Days, he took active role in the successful organisation of first pharma day in Frankfurt where pharma manufacturers and their forwarding agents in the Europe region found the chance to come together, convey their expactations from Turkish Cargo as a carrier and learn from their individual experiences for a best pharma practice. In his career, he has attended many international conferences, seminars and workshops as a delegate and speaker in Americas, India and Europe in the areas of air cargo logistics especially for pharmaceuticals and healthcare products. E-commerce and CEP (courier, express, parcel) market remains at his core responsibility. He is also interested in analyzing the World air cargo market in order to efficiently gather and submit information for new possible trade lanes. İbrahim holds a graduate degree from Koc University, an MBA from Marmara University and a certificate from London School of Economics. Vinodh leads the Supply Chain & Manufacturing Management practice at ZS supporting various clients to drive higher product availability at lower costs through leveraging analytics, automation, effective process re-design and forecasting approaches. Vinodh additionally works across multiple clients helping drive business transformation through leveraging analytics and data science. He brings extensive experience across a number of industries including Healthcare, Travel & Transportation, Manufacturing and Financial Services. Prior to joining ZS Associates, Vinodh was vice president and lead of the travel and hospitality business unit at Cognizant, where he more than quadrupled the business to $300 million annually. He also served as chief strategy officer for the products and resources business unit at Cognizant where he owned strategic initiatives and priority service lines including supply chain management, digital and loyalty, and analytics. Previously, Vinodh held various roles in financial services. 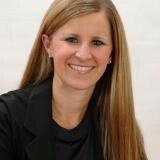 Marissa Alvord is Program Director for LogiPharma, LogiMed and FIMA. With over seven years of conference production experience, Marissa specializes in market research in the financial, pharmaceutical, biotech and medical device industries. Marissa cut her teeth in conference production working for a small publishing house in London producing events for the English education sector. She holds her MA from SOAS, University of London. Outside of the office, Marissa enjoys cycling, gardening, cooking and enjoying music. Click here to save 20% today! We're already at work booking an industry-leading roster of speakers for 2018 - keep an eye on this page for updates. If you would be interested in being a part of LogiPharma US, we would love to hear from you. Click Here to view the list of speakers from our 2017 event.